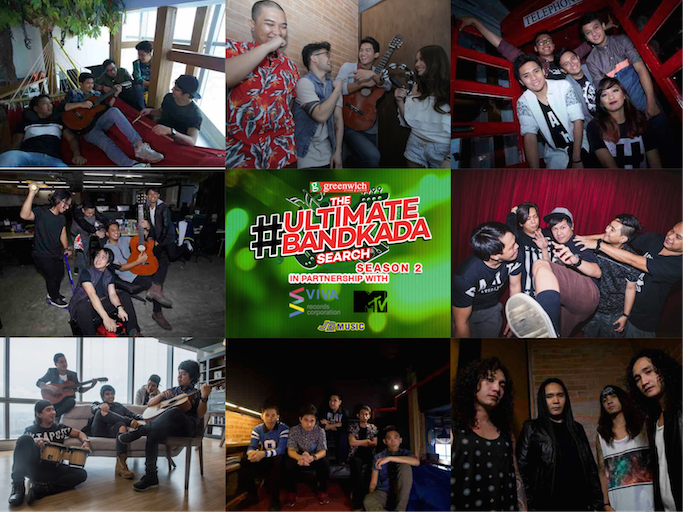 Greenwich #UltimateBandkada Season 2: Top 8 Finalists! 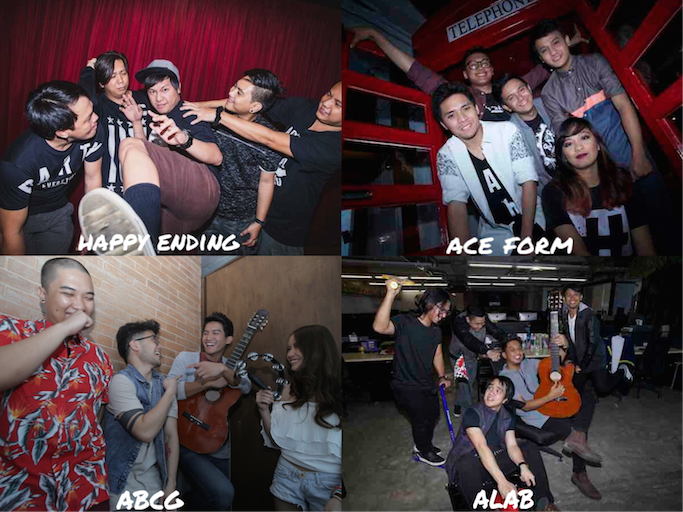 Congrats to the Greenwich #UltimateBandkada Search Season Two finalists: ABCG, Alab, Musico, Shalom, Relentless, Plethora, Ace Form, and Happy Ending! 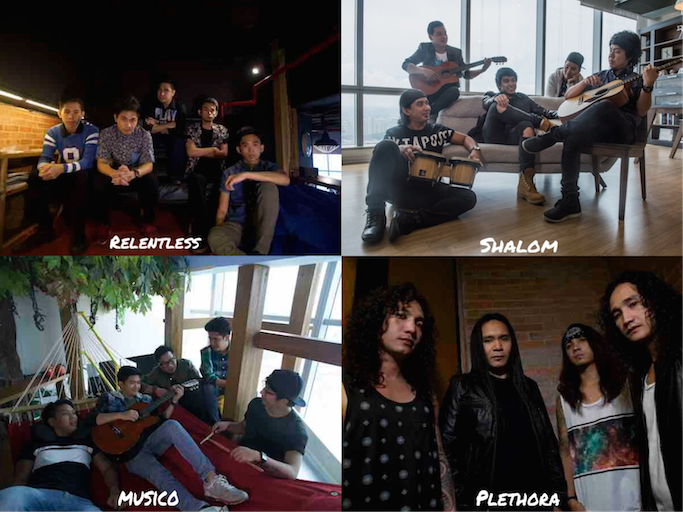 After 2 months and 150 live and online auditions, these bands were chosen amongst all the contestants from all over the country! After these auditions, the bands will go through a series of training from different mentors from the music industry. This season's line-up include award-winning singer, songwriter, producer Thyro Alfaro, young and well-followed band The Juans, digital media sweetheart Donnalyn Bartolome and Music Executives from Viva Records, MG Mozo, Civ Fontanilla, and Punch Liwanag. This will ready them for the culminating event on September 10, 2016, at the Valkyrie Nightclub at the Palace Manila in Bonifacio Global City. For an exciting twist, all the finalists will have to perform their spins on this year’s Greenwich song that has to be a mash-up of at least two different music genres: Rock, Pop, Hip-Hop, EDM, or Reggae. In the end, only three bands will win. The criteria for the top three are: originality, mash-up clarity, audience impact, band chemistry, and stage presence. They will also award the “Favorite ng Barkada Award”, which will recognize the band that garnered the highest number of online votes. Support your #UltimateBandkada! Vote for your favorite at www.ultimatebandkada.com starting 10:00am of July 18, 2016 until 11:59 pm of September 5, 2016. You can vote only ONE TIME for free daily. Additional three (3) votes per coupon code can be availed by purchasing any of Greenwich #UltimateBandkada Bundle (Mash Up Edition).